Congratulation on completing your apprenticeship! We know how hard you have worked to achieve your Apprenticeship, now it’s time to celebrate your success at The JGA Group Graduation Ceremony 2017. 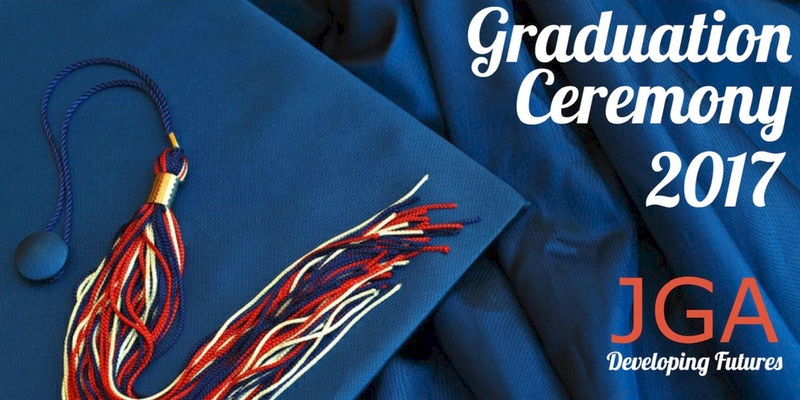 During the ceremony, we will present you with your Apprenticeship Graduation Certificate of attendance and a complimentary professional photo in a graduation gown. There will be time to enjoy to enjoy a complimentary lunch with refreshments as well as time to socialise with other accomplished apprentices and tutors. We welcome your family and friends to help celebrate your success during the ceremony. Please confirm your attendance by purchasing the ticket.